Oh gosh, these are so good. 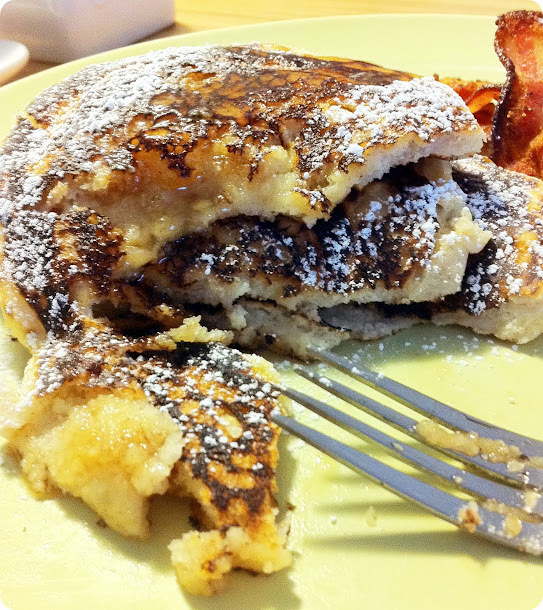 I'm not a pancake person and I don't recall ever wanting to make pancakes on the weekend. 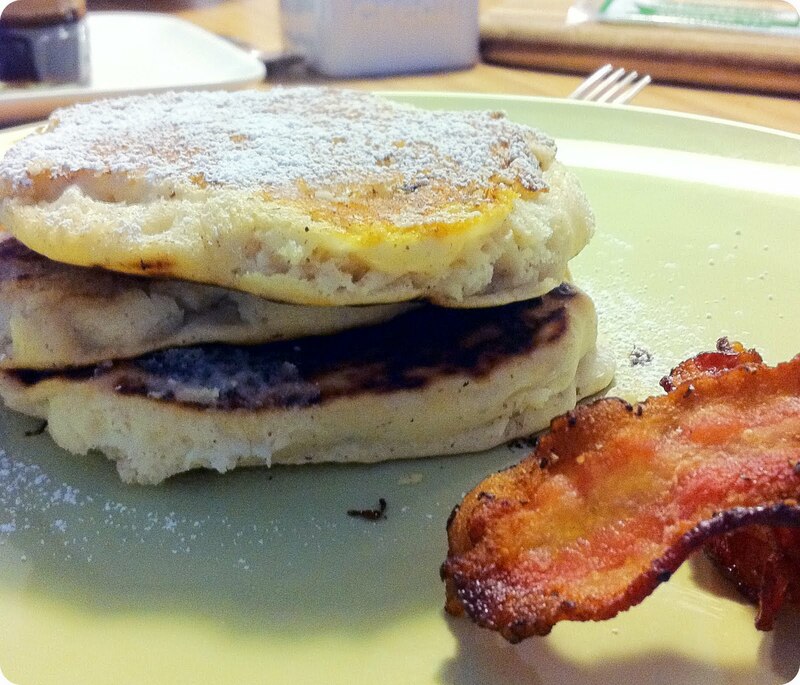 This morning I stumbled upon this post on a blog and was convinced this might be a pancake I would like. These are absolutely perfect. I've never had pancakes this fluffy! The baking powder and vinegar are the trick to the fluffiness. Measure the milk and add the vinegar and ground flax seeds. Using a fork, vigorously mix the ingredients until foamy. Pour the milk mixture into the center of the dry ingredients. Add the water, canola oil and vanilla and use a fork to mix until a thick, lumpy batter forms. DO NOT OVERMIX. Just mix until incorporated --mine had many small lumps throughout. The less you mix, the better they will be, I promise. Preheat the pan over medium-low heat and let the batter rest for 10 minutes. Don't skip this step - the resting is crucial. Lightly coat the pan in oil. Add 1/3 cup of batter for each pancake. Mine were ready in two minutes or a little less to flip, although the original recipe said 4 minutes on each side (take a peek on the underneath for yours). I will never use another pancake recipe again. Not that I had one to begin with because I never make pancakes...but now I will!